I can’t believe it’s already been three weeks since you came into this world and changed my life. You were ten days late, but right on time with a head full of curly black hair and big, beautiful brown eyes. I must admit, I loved you from the moment I laid eyes on you. Although you can barely hold your head up on your own, I am already praying about your future. I pray as a concerned mother who lives in a world full of injustice and lacking in grace. I pray knowing that unless God intervenes and things change, that tomorrow will not be much different than it is today. I pray that you would be strong. I pray that you would never be intimidated by success, and never afraid of failure. I pray that you would never shrink back from doing what God has called you to do out of fear of what people may think of you, nor would you allow their words to dictate who you should become. I pray that you will never have to prove your worth, because you are immensely worthy and valuable in spite of the stipulations that people will place on you. I pray that you would never have to humble yourself and clamor for a minimum wage job in which you are overqualified. I pray that you would never be overlooked or marginalized because of the color of your skin or the foreignness of your name. 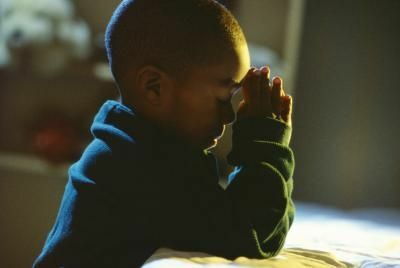 I pray that your blackness would never make you the target of hate crimes, racial profiling or other manners of injustice. I pray that you would never know what it is to be followed by a cop, a store clerk, or some random man on the street who thinks you are suspicious simply because you exist. I pray that you would never be harassed, never have to defend your actions, and never have to cower in fear over what someone might do to you. And if the Lord shall tarry ten, twenty, or even forty years, I pray that your days would be long and full of happiness, peace, and joy that only God can give. And my son, if things don’t change, and our justice system is still full of injustice, I pray that you would be the catalyst the world needs to get us going in the right direction. I pray that you would use your voice to speak prophetically to right the wrongs, repair the breaches and heal hearts that are broken as a result of racial injustice. I pray that you would use your hands to put a people, an American people, back together so that we may know true peace and reconciliation. I pray that your steadfast faith in God would encourage perpetrators to embrace repentance, and the oppressed to offer forgiveness, so that your own sons and daughters would live in a different world than we do today.